Geist! 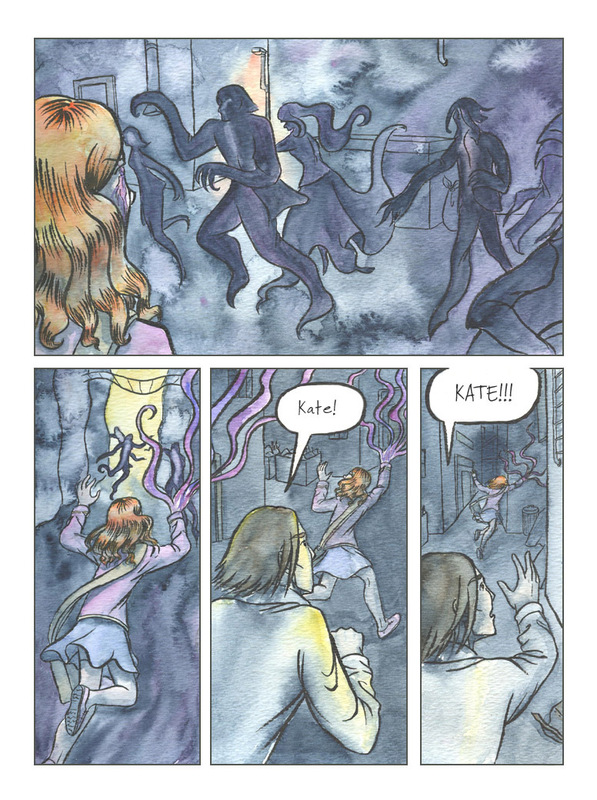 Page 161 – Geist! Did she… did she just infect them all? Ah no, sorry, I guess it’s unclear – we’re seeing things from her not-altogether-reliable perspective right now. So, the curse is driving her insane? I can only hope they are dead. They murdered a little girl for the sake of ego. Technically, I don’t think that girl died, but is in a coma? It’s still pretty bad though – they could have killed her, and she might not wake up. And what’s worse is that they held an event saying how sorry they were for it, and they should be given more power to prevent further incidents, DESPITE being the ones to cause it in the first place.